ReefSMART is an expo put on by the non profit Sustainable Reef. We are a volunteer based organization – so please Contact Us to be a part of the next show – we would love your help and ideas! At every ReefSMART, you can expect four things – free entry, a bag of free swag at the door, a fragging demo, and plenty of exciting booths to visit! This is a great event for the whole family, and especially so this year – kids, and even your spouse will get hungry eventually – and we have the beautiful patio area overlooking the courtyard to enjoy! 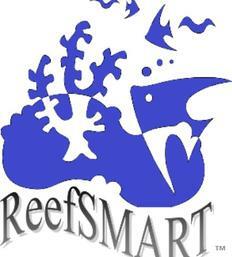 Reefers on our local forums refer to ReefSMART as “a frag swap on steroids” or a “mini-MACNA”.